It’s been a roller coaster ride for MG, but 2014 marks 90 years since founder Cecil Kimber registered the company as a car manufacturer. And what better way to celebrate than to bring some classic MGs together with the brand’s current cars, and see how far it has come? It all started when Kimber was working as a sales manager at Oxford-based car dealer Morris Garages in the twenties. He turned his hand to upgrading the regular Morris models on the forecourt, and these proved so popular, he branded them as MGs through his newly founded company. In the years that followed, the MG badge became synonymous with sporty and affordable roadsters and saloons. It’s suffered a rocky path, though, with a takeover by Morris Motors in 1935, before being absorbed into the huge BMC conglomerate in 1952. MG suffered in the seventies under British Leyland, and was taken over countless times, until the doors closed on the factory in Longbridge, W Mids, in 2005. But MG is back, with a new owner aiming to turn it into a global brand. 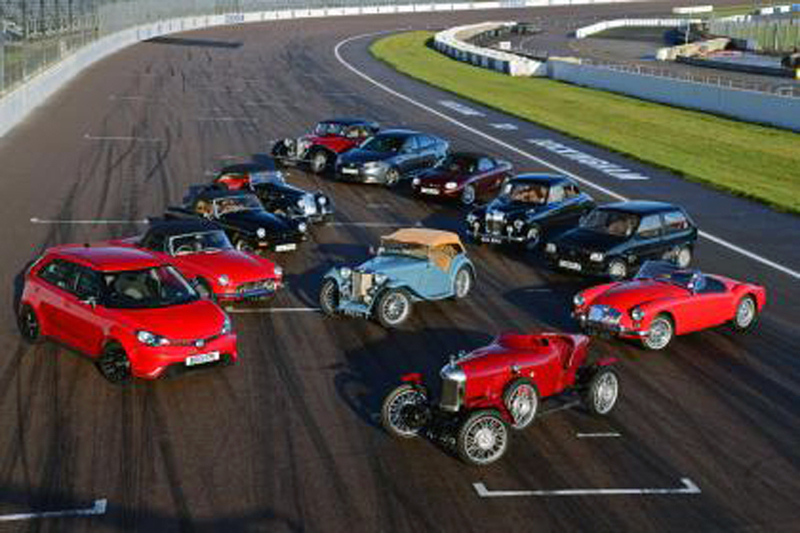 Nine decades separate Old Number One from the latest MG3, and while the 90th anniversary is the perfect opportunity to reflect on MG’s history, the company’s current owners are very much looking forwards. Car assembly has returned to Longbridge, but perhaps more importantly the West Midlands plant is a hive of activity, with designers and engineers working to develop future MGs. Marketing director Guy Jones said: “Our long-term plan is to establish MG as a global brand. We have a development team at Longbridge because the UK has the talent that will allow us to deliver strong products. “Having a leading manufacturer [Chinese owner SAIC] behind us gives us the resources to expand.” And development is progressing quickly, with the MG6 diesel already made more efficient, and new engines in the pipeline. The company has the foundations for global expansion in the MG3, MG6 and SUV, so when will it return to its roots and build a sports car? It’s not on the cards yet, but is a definite consideration for the future. “Once we’re established, we can think about building a sports car flagship,” said Jones.